While conventional cutting solutions use one fixed blade, our robotic head change over system can automatically switch between different size blades depending on the program that you have selected. 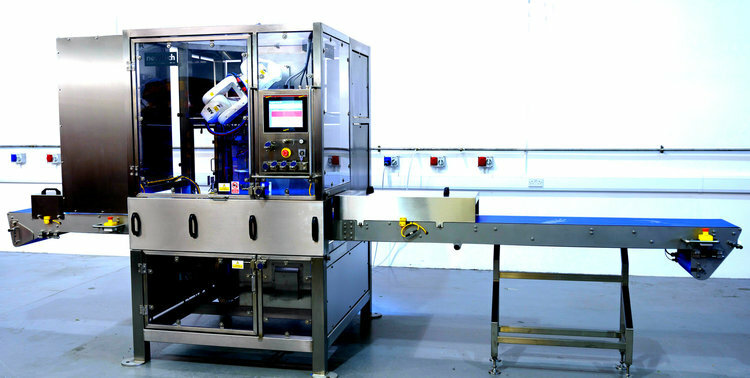 This flexibility allows you to cut multiple products using the same machine, saving you time, keeping your production line running smoothly and future-proofing your investment. Take a more in-depth look at our machines to find out how our robotic solutions can save you time and money. Or contact us now to discuss your requirements with one of our specialists.